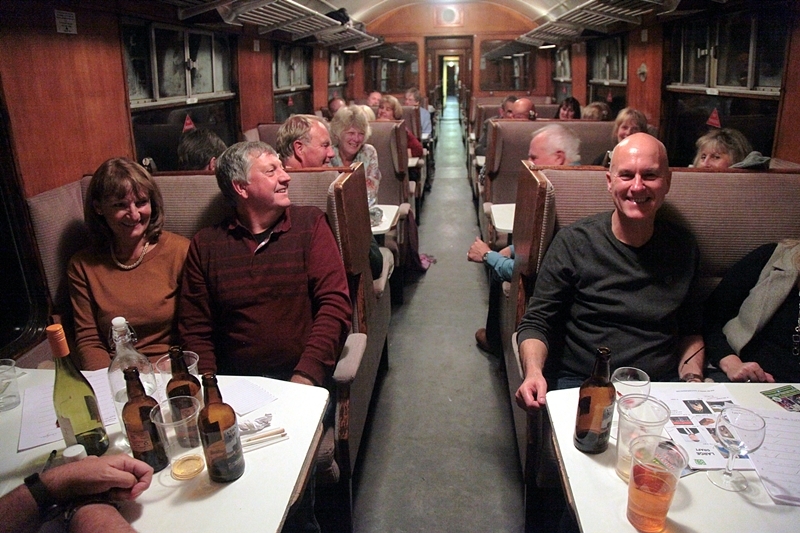 Come and join us for a Fish and chip quiz night on The Watlington Flyer vintage diesel hauled train, the evening commences with three rounds of general knowledge on the first round trip from Chinnor station to Thame Junction and return. Throughout the evening a selection of beers, wines and soft drinks is available to purchase on the train. A locally fried Fish and Chip supper will be served on the train whilst the teams tackle the picture round on the second trip. Alternatives available include sausage, chicken, steak pie, and veggie burger - all with chips (or even just chips, if you prefer!). The evening continues with further rounds of General Knowledge during the third and final trip to Thame Junction. Answers and Prizes for the winning team will be given out prior to the train arriving back at Chinnor. All booking reservations must be made in advance. If this date is fully booked, please check our website as we are running more of these nights through the year. There is a large free car park, cafe and souvenir shop available at Chinnor station. For more information about the railway and other activities please see our website. We very much look forward to seeing you on our Fish and chip quiz night and thank you for your support.